Hat tip to Scott Killeen for this one: The Dodgers are planning a special event after the Saturday, July 13 Rockies game: An exclusive screening of "42"! Join us for a Saturday Night Doubleheader! 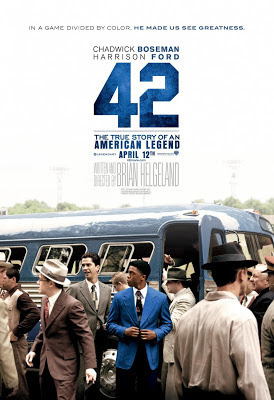 Purchase a ticket to see the Dodgers play the Colorado Rockies on Saturday, July 13 and stay after the game for an exclusive screening of "42," a film depicting the true story of Dodger Hall of Famer Jackie Robinson. 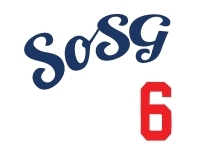 The Dodgers game begins at 4:15pm, and the movie screening, which will appear on Dodger Stadium's new high definition video screens, will begin shortly after the conclusion of the game. The movie "42" is rated PG-13. Parents are strongly cautioned that some material may be inappropriate for children under the age of 13. The true story film includes profane and offensive language, including racist slurs, and violence. The Dodger game will also be preceded by On-Field Photo Day - so don't miss a Saturday full of excitement! Tickets available through ticketmaster here, or here through TiqIQ.